together with a selection of outstanding articles by other distinguished contributors, none of which are available elsewhere. 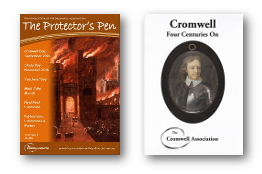 the latest copy of our newsletter The Protector’s Pen and in July the annual journal Cromwelliana. membership allows you to access the Member’s Area of the web site which has the most recent copies of both our newsletter and journal ready for you to read. Membership costs £20.00 for UK based members and £30.00 if you are outside the UK. Join today and get the full benefits of membership. If you would like to join (or renew) your membership using PayPal (or a credit/debit card) please click the appropriate Paypal button below. All payments in pounds stirling (£). Important message for existing members: If you are renewing your membership please remember to select the correct renewal subscription from the drop-down menu below! If you prefer to download a hard copy (docx) application form please click here. 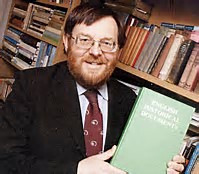 Members who are UK tax-payers are strongly encouraged to Gift-Aid their subscription. See page 2 of the application form for details. The subscription year starts on 3rd September. Members joining after 1st June but before the 2nd September will be in membership until the 2nd September in the year following, and the subscription will cover the costs of the following year’s Cromwelliana. 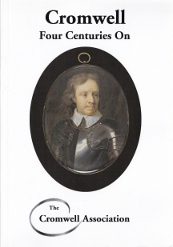 New members can purchase the current year’s Cromwelliana at a special member’s rate.